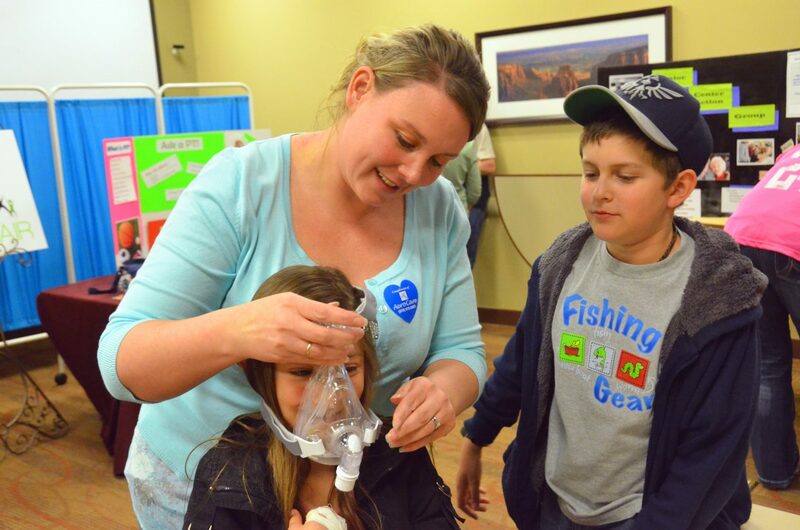 AeroCare representative Katie Smith, of Meeker, helps 8-year-old Jasmin Hershiser try on an oxygen mask while Jasmin's brother, Sabastian, 10, watches during the Community Health Fair Saturday at The Memorial Hospital. The event allowed people to get low-cost health screenings and information from health-related businesses, such as AeroCare, which specializes in respiratory equipment. Craig — The Memorial Hospital hosted its second annual Community Health Fair on Saturday morning, offering low-cost blood screenings and other features to area residents. Jennifer Riley, the organization’s chief of marketing and business development, estimated that between the Saturday event and blood work for seniors done earlier in the week, more than 200 people were able to learn more about elements of their health. “We’re so glad to be able to offer something like this for people here,” she said. Additionally, the fair had information from a number of other health groups and businesses, including representatives from nutritional firm Juice Plus, Progressive Insurance, Northwest Colorado Visiting Nurse Association and medical equipment supplier AeroCare, which specializes in respiratory devices. Sandra Hershiser and Alicia Noland, who also works in TMH’s radiology department, let those in attendance sample wares from doTERRA Essential Oils, which can be used topically, aromatically or internally for a long list of health conditions. Hershiser said people experiencing minor headaches quickly became interested in the program after a demonstration of rubbing peppermint oil on their temples. Consultants from doTERRA host classes at 6:30 p.m. Tuesdays and Thursdays in Centennial Mall. Another business at the health fair was Angels in Your Cupboard, which provides a service of assisting seniors with their living spaces, especially when moving to a new location. Owner Kelly Nottingham said the focus is to decrease stress of the mind and body for the older folks who utilize her company. “We want to make it as easy as possible for them,” she said, adding that she works with the elderly as well as adult children who want to help their parents or grandparents get better situated. TMH physical therapist Luke Geer was also on site to discuss what kind of things people could use from the hospital’s rehabilitation center in Centennial Mall, including muscular, skeletal or balance issues. 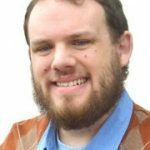 “We did some simple examinations to see what they might need, not a lot of intervention just a lot of information,” he said.